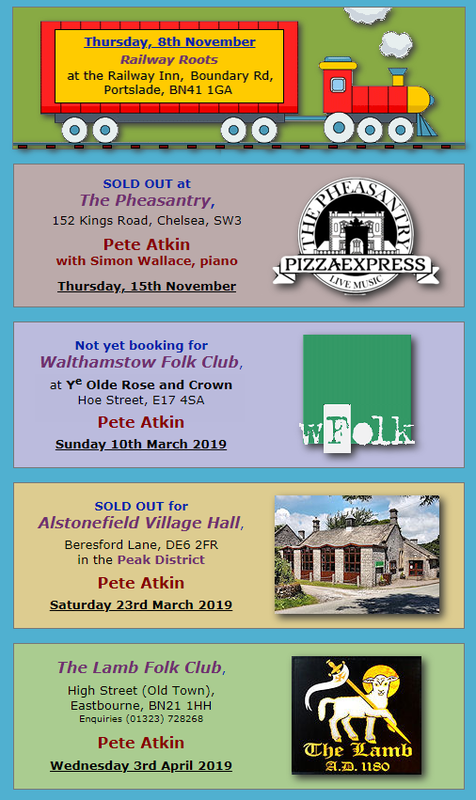 Member Martin Snodin has now finalised details of Pete's gig at Alstonefield (Staffordshire) next March, and set up an 'Event' page for it on Facebook, where FB-ers can express their intentions to attend. Others might like to mention it in a reply to this thread. 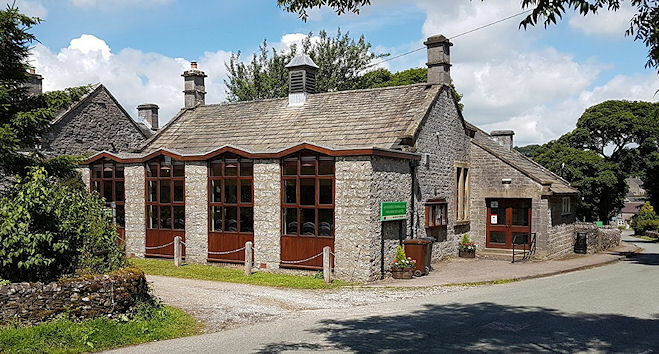 The date is March 23rd, a Saturday, and the venue the Village Hall in the centre of Alstonefield village (DE6 2FR), which lies just a mile west of the A515 Ashbourne to Buxton road in the Peak District. Tickets go on sale tomorrow at wegottickets.com -- I'll post the direct link in the Gig Guide when it's available. Martin, you may remember, organised Pete's appearance at The Ravenswood, near East Grinstead, for Acoustic Sussex in 2006. He's recently returned to what we used to call the East Midlands, and seems to have wasted no time in booking Pete for a welcome return to the land north of the Trent. 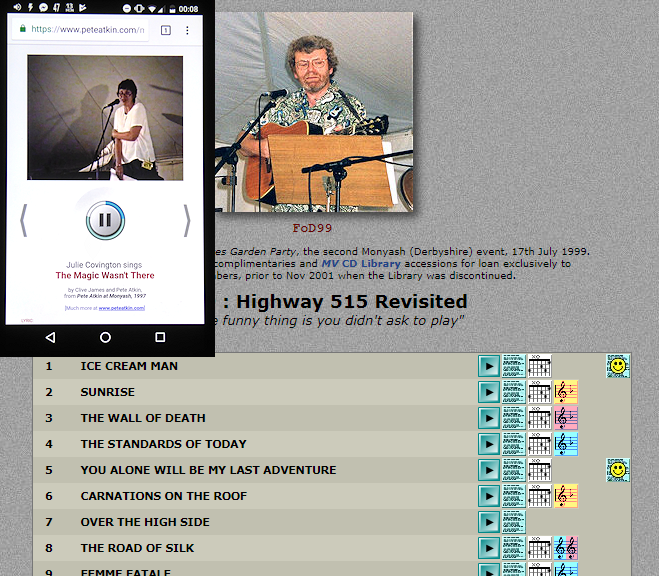 Incidentally, those who remember (or even were present at) the two events we organised in 1997 and 1999 at my then farmhouse in Monyash (not very far from Alstonefield), might like to know I've recently expanded the range of mobile-friendly 'Play' buttons in the Website's Discography section, to include, among other delights, the two Footlights demo albums, plus the limited-release, members-only CDs we made of the Monyash events. In keeping with the old MV CD Library philosophy, these particular buttons (the Play buttons are alongside the lyrics, chords, lead sheets, annotations and parodies in the central panel) are restricted to MV members -- they don't even show unless you're logged in to the Forum. Log in and then refresh the Discography page to view them and play the tracks. By using the left and right chevrons on each song's page, it's possible to listen through the entire collection. Remember to check 'stay logged in' for extended listening on your chosen device. I doubt I'll be over in March (thanks Martin), but for those in the UK I'm sure this will be a gig not to miss, at a location easily accessible from the Midlands and the North. Re: Alstonefield tickets going on sale -- SOLD OUT!